Are you purchasing a home, or looking to build? Paint colors can be overwhelming but if you focus on painting your house one neutral color and adding color through decor and furniture, it might make the picking out process a little easier. Here are some popular neutral colors that would work well for any room in your home. 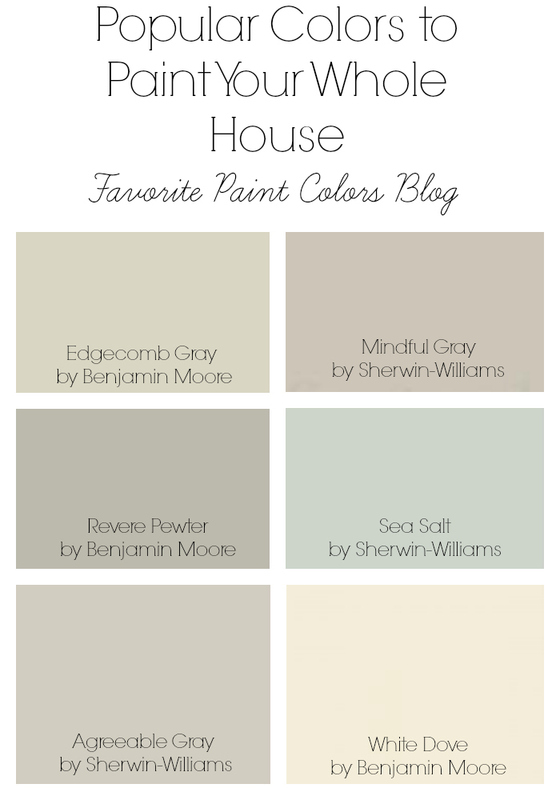 Edgecomb Gray by Benjamin Moore. This is a great greige. We actually just painted our bathroom this color and I love it. I haven’t seen any weird undertones and it goes with anything. Mindful Gray looks great on the outside or inside. This exterior is classy, clean and looks amazing. 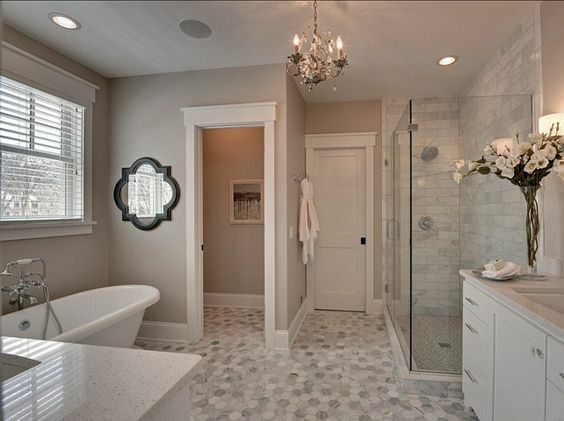 Mindful Gray is also used in this bathroom and would look great throughout the whole home. Revere Pewter has got to be one of the most popular paint colors around. It is a perfect greige and doesn’t have any crazy undertones. I have loved it in ever home I have seen it in. If you need a no-fail neutral, you can’t go wrong with Revere Pewter. Here is Revere Pewter in a larger living space. Sea Salt is another popular neutral color that has blue and green in it. I love it paired with bright white, or darker wood. Agreeable Gray is another very popular color for your whole home. It is very similar to Revere Pewter, but has more gray. A huge trend right now is to paint your whole interior white. 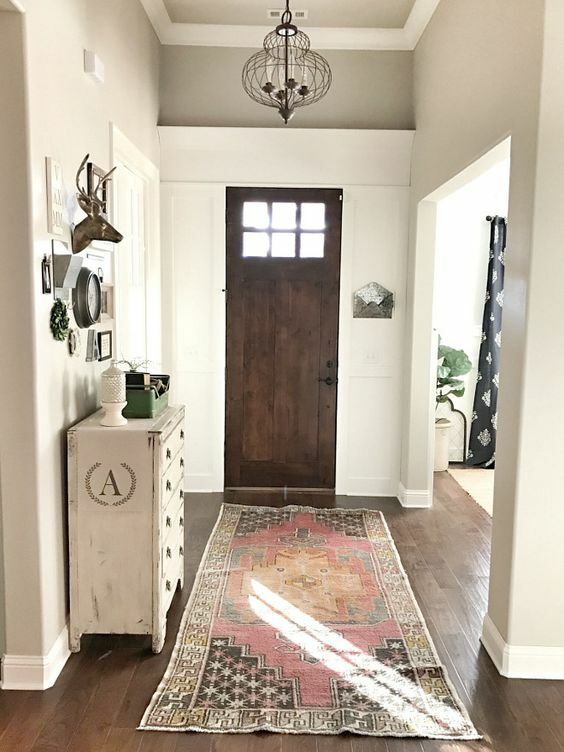 White Dove is a perfect color, it’s warmer so it doesn’t seem so stark and if you are looking for more of a farm house look, this is a great way to start. I hope this helps if you are looking for one continuous color to go in your home. You really can’t go wrong with any of these colors. Thanks for stopping by and happy painting!